1.Japan famous brand operating procedures, digital display,setting parameters can be adjusted by your need. 2.Automatic temperature control ,steady operation,rise automatically 3.Synchrodrive of upper and lower rollers ,automatic adjust the virtual space and micro-recede to reduce the mistake. 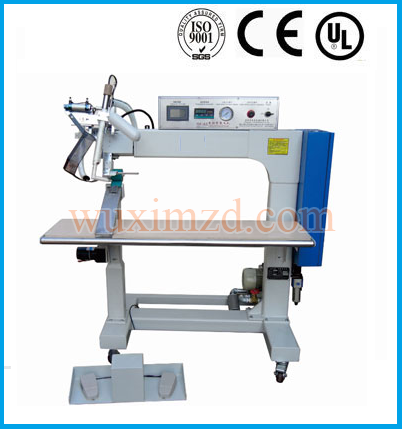 4.Double feet control ,easy operation,not easy weary,suitable for long time operation. 5.The independent design of control procedures of heating tube,blower delay function to protect the heating tube. 6.24-hour production, improve production efficiency. 7.Automatic cut, tape-feed and seal to reduce material loss. 8.Controlled by stepper motor ,precise in tape feeding. 9.Double-table designed to improve the work efficiency.